… Alligator began as a project by a Chicago blues fan who in 1970 wanted to help shine a light on one of his personal musical heroes, the great Hound Dog Taylor. That fan was Bruce Iglauer. Iglauer scraped up the funds to produce Hound Dog’s debut album, pressing up a thousand copies. As Taylor was rediscovered, those records sold quickly, which spawned the birth of what is now the most respected and successful independently-owned blues recording label in the world. 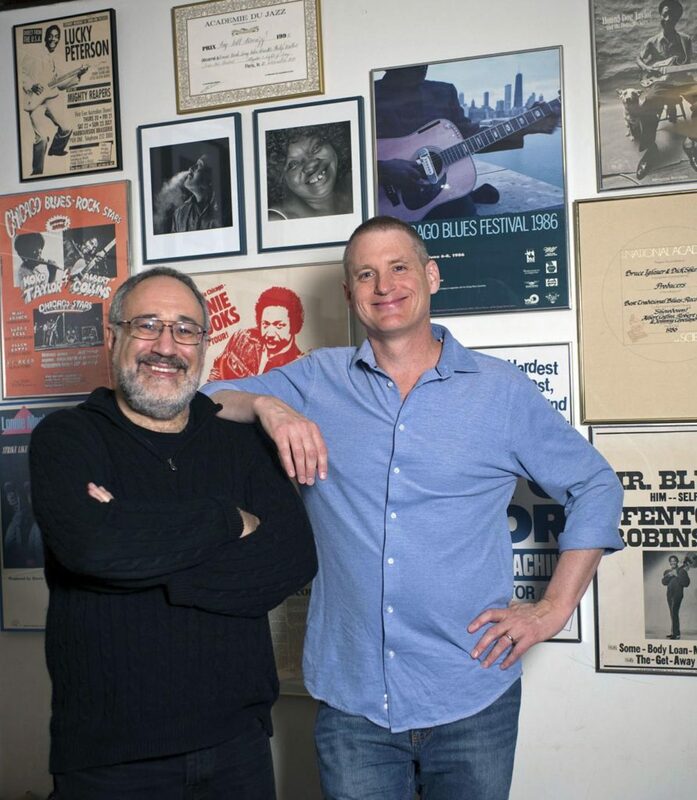 With all the holiday hub-bub going on, readers of this column might have missed the news about the fascinating 40-plus year musical journey story of Alligator Records president Bruce Iglauer and his award-winning stable of talent being published. “Bitten By The Blues: The Alligator Record Story” – authored by Iglauer and Patrick A. Roberts – is a passion-fueled and colorfully told tale of the Alligator man and his vision then and now for the blues and the artists he loves. A tightly written 336 pages, the book is an easy read that now screams for a visionary film maker to adapt it to film. By Tom Lounges. Read the full “Alligator can take the bite out of those winter blues” story on The Times of Northwestern Indiana.